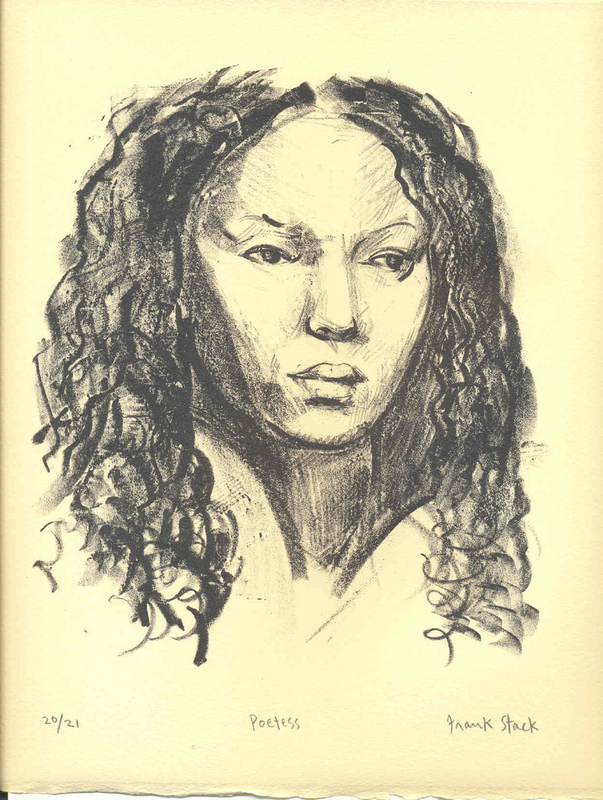 This hand-printed signed lithograph represents the beautiful features of a young woman, with long, curly black hair. Entitled "Poetess", this print showcases the artist's supreme ability to capture not only the features of his subject, but also a strong essence of personality. This impression comes from a limited edition of only 21 and is numbered "20/21". Image size: 8.5" x 7", Sheet size: 11.25" x 10".